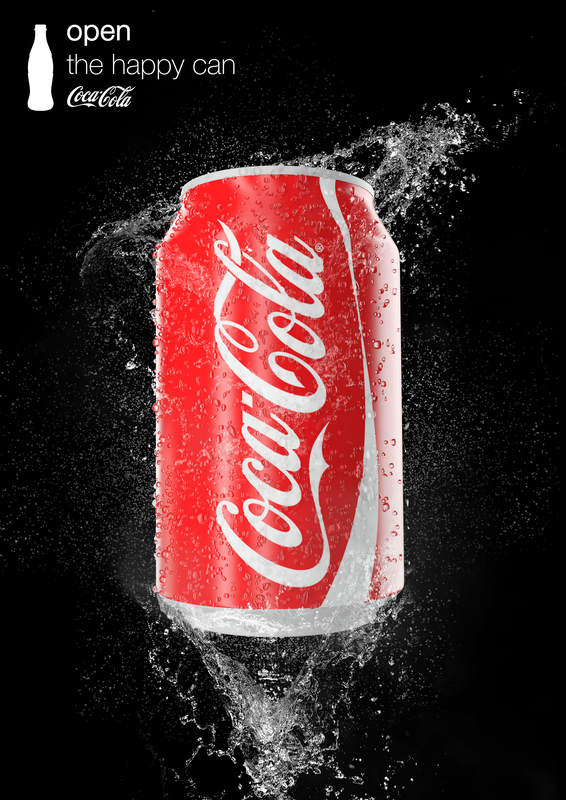 In this short project, the goal was to make the most realistic Coca-Cola can with a water drop effect, just using Sketchup, Vray and Photoshop. To master the lights like in a real photographer studio, I’ve reproduced a similar spatial environnement in 3D, and I’ve given to the volumes emissive properties to make my own equipment of flashes and shadow boxes. When the light’s disposition was right, the next difficulty was to make the drop water effect. So I decided to draw three differents drops, just like deformed spheres and I made three components with them. 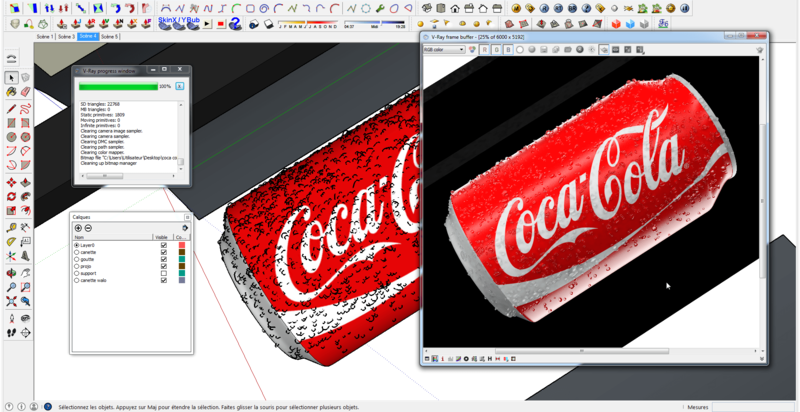 Then, I used a free sketchup plugin named Spray Component, to spray my three drops on the all can’s surface. 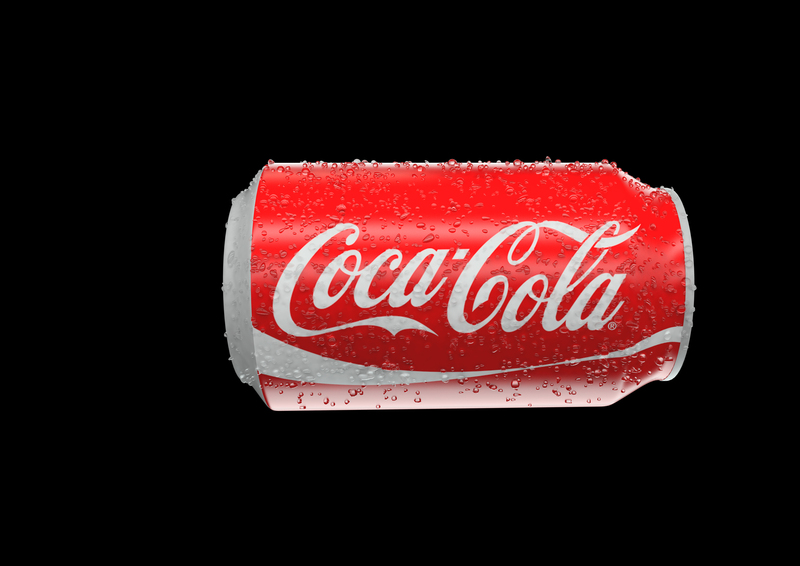 After many tests to set the drop’s scale, its dispersion and its quantity, I finally found a nice rendering for an export. 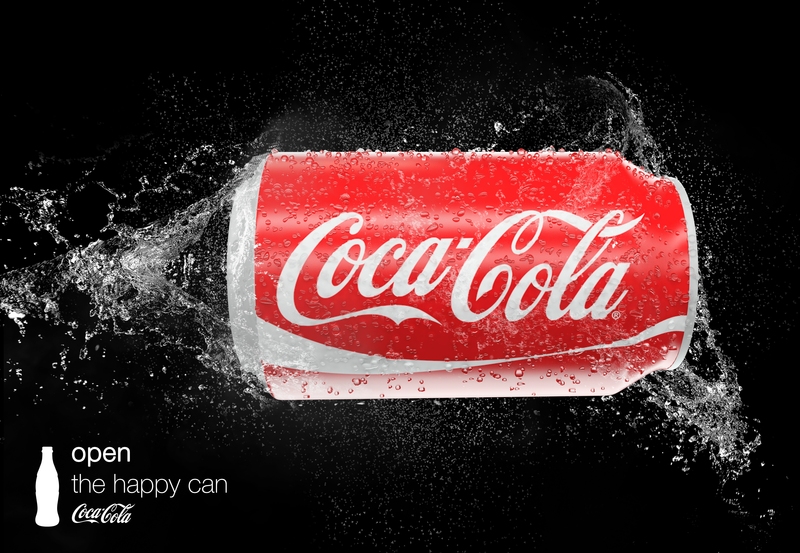 As you can see on the following picture, each drop is reflecting the lights and the can’s texture, because the water’s texture has refractive properties. The easiest way to make this realistic water is to use a glass texture with this kind of settings. Now let’s go on photoshop to make the final picture. 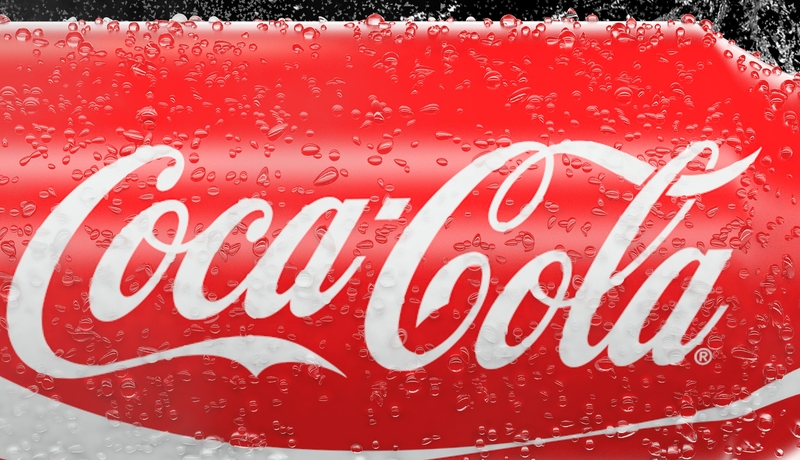 There is not a lot of things to do on this software, we just have to add the typography and the logo easily findable on internet in png format, and the splash water is made with a simple brush for photoshop, also easily findable.